KAMPALA – Security agencies have raided the offices of MTN Uganda and arrested two staff who are accused of engaging in subversive activities. 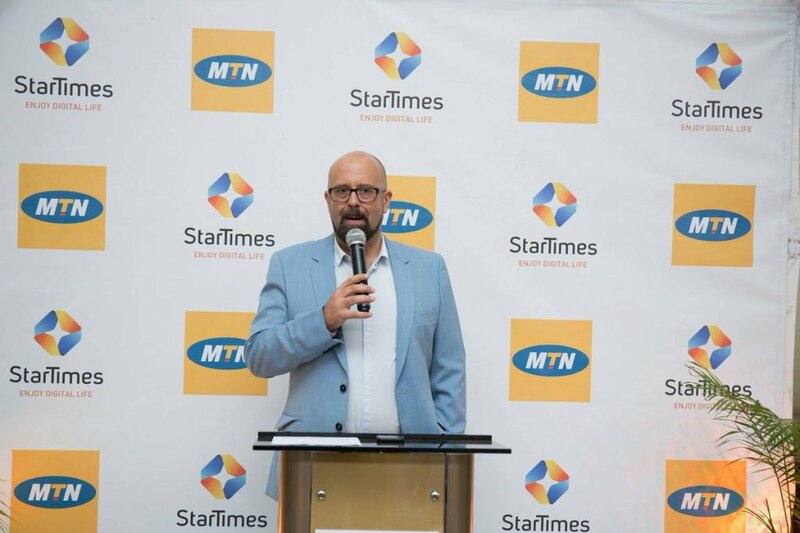 MTN Chief Marketing Officer Olivier Prentout and another identified as Anna Tabura were arrested and deported for allegedly engaging in activities that threaten national security. 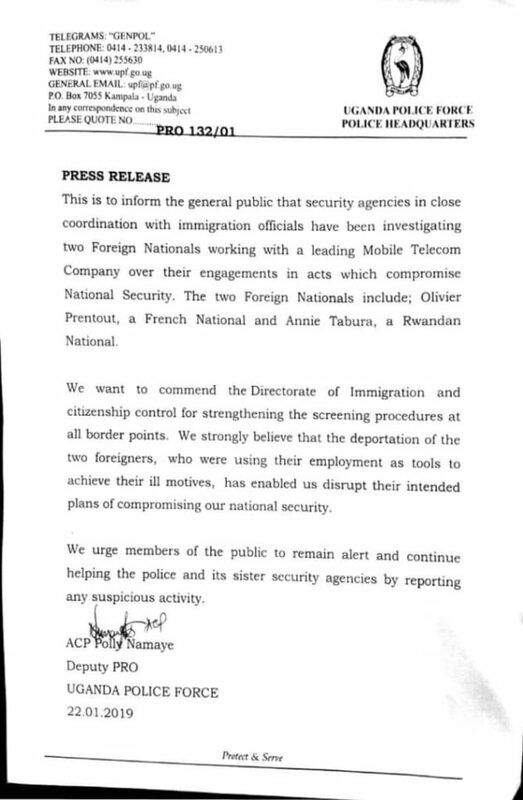 Deputy Police spokesperson Polly Namaye in a statement released by on Tuesday morning thanked the Department of Immigration for being vigilant and arresting the duo. However, Namaye did not offer more details about the operation. The incident comes six months after security officers raided the telecom giant’s data centre. 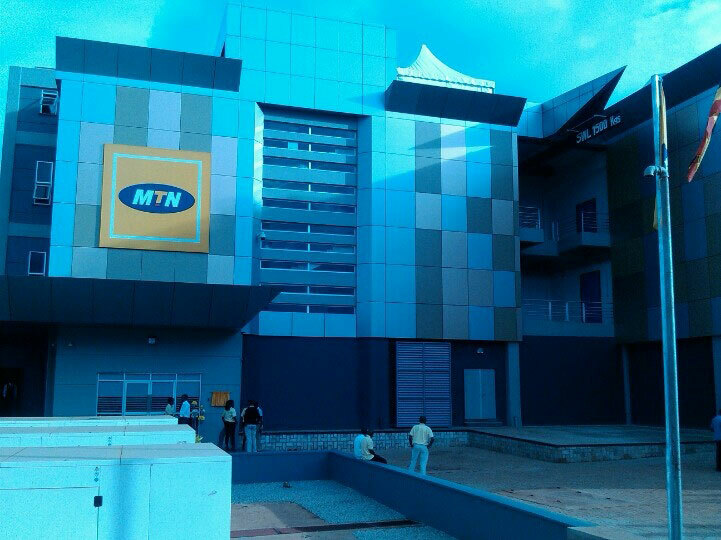 In July 2018, security agents raided the MTN Uganda Data Center at Mutundwe in Kampala and switched off four servers. The security personnel who purportedly claimed to be from the Internal Security Organization (ISO) raided the data centre at night. Police statement regarding the matter. A July 3 letter addressed to the Executive Director Uganda Communication Commission Godfrey Mutabazi, MTN Uganda’s Acting Chief Executive Officer, Anthony Katamba claims that the security officers raided the data centre, hours after they arrested and held the Company’s Data Manager at 5 pm that day. Katamba alleges that after gaining entrance into the Data Center at Mutundwe, they directed Moses Keefah Musasizi, the Manager Data Center Facilities at Huawei Uganda Limited, MTN’s Contractor to disconnect four servers.